Automatic opening. Large vented nylon canopy with matching color case. Umbrella case includes a shoulder strap. Sturdy 2-section hexagonal folding metal shaft. Fiberglass ribs. Gentle foam handle with wrist strap. 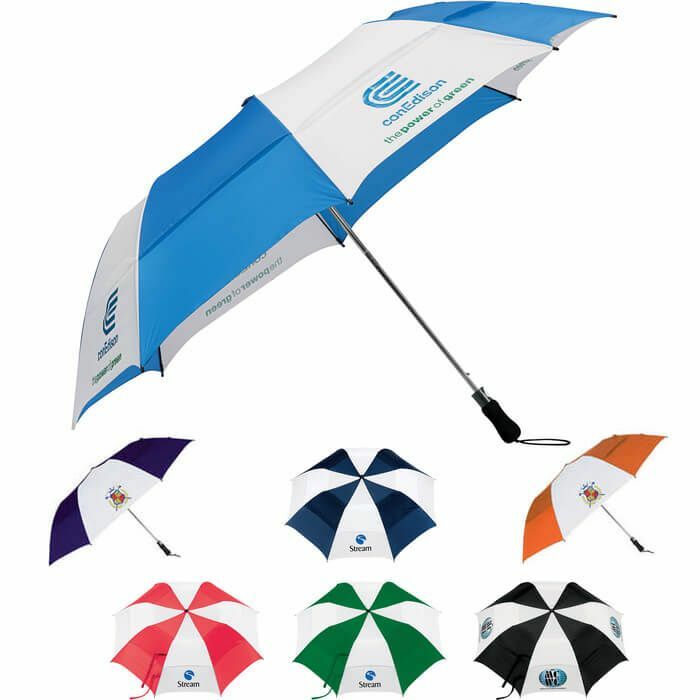 Stromberg brand umbrella.